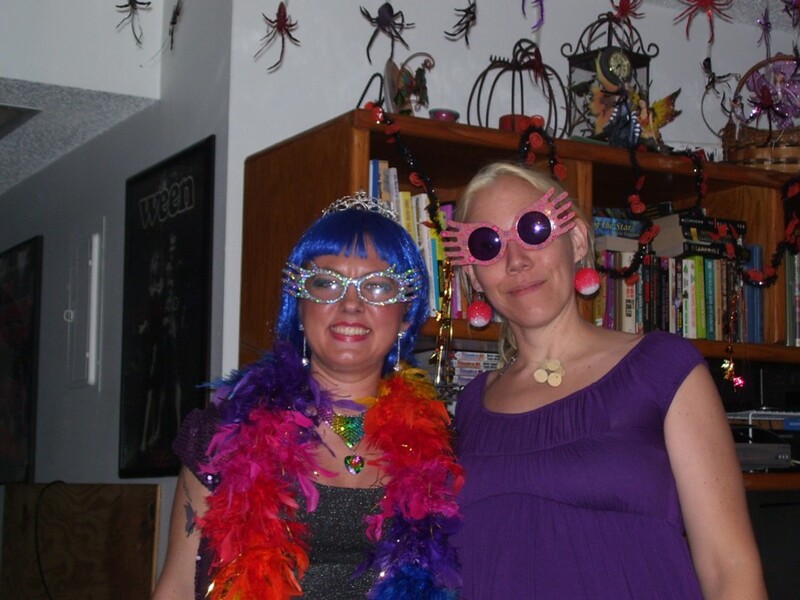 Halloween 2010--Dinner and dessert PARTY! 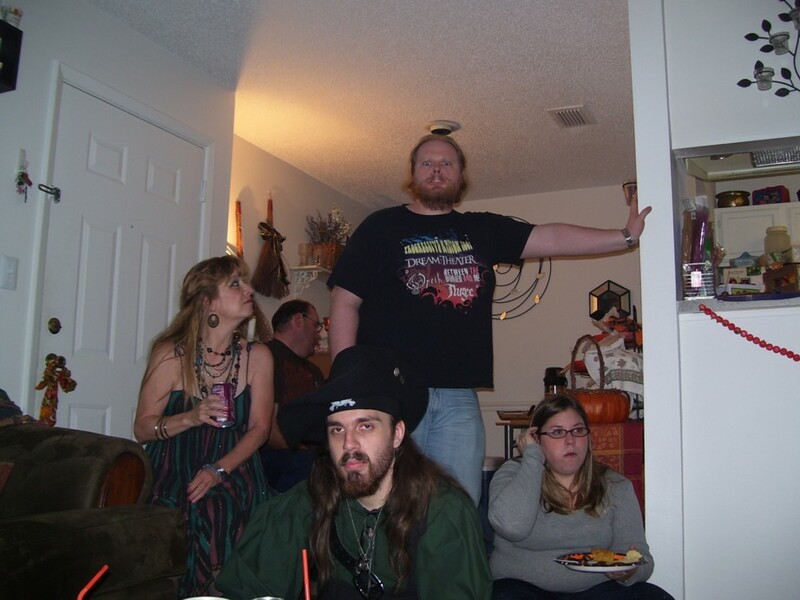 I had a total of seventeen people in my apartment, and it was crowded! 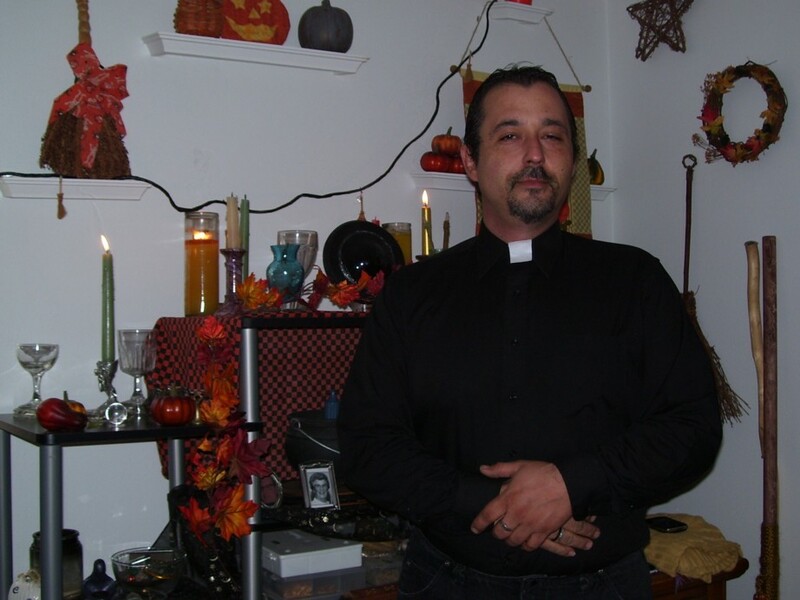 grabbypriest.jpg: Mikey molests the local Catholic schoolgirl. 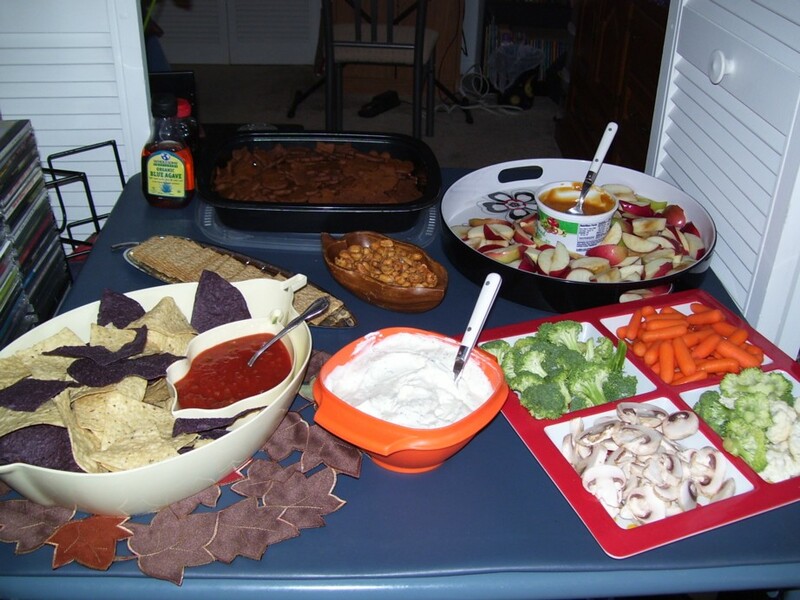 appetizers.jpg: Appetizers for the guests: Apples with dip, tortilla chips with salsa, veggies with ranch dip, peanuts, crackers (though I forgot to put the cheese out until later), and molasses-ginger animal cookies (homemade!). 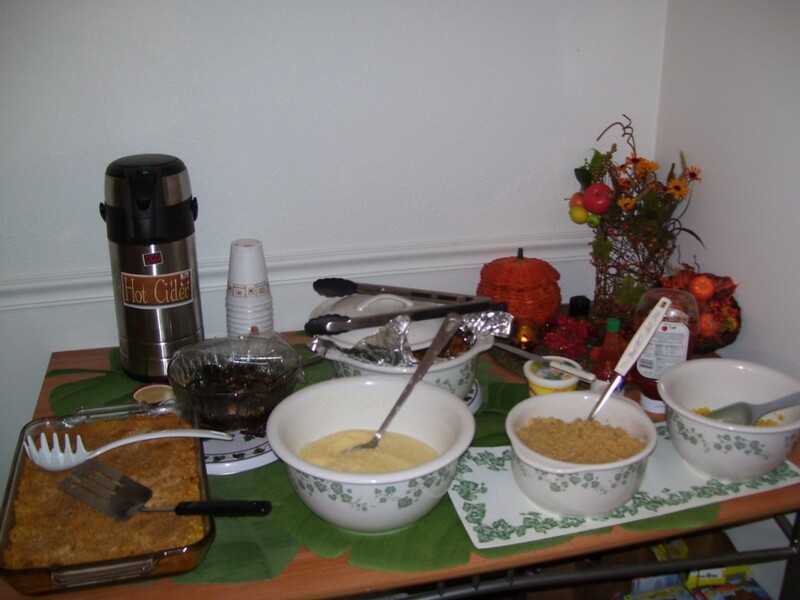 muffins.jpg: Covered muffin display: I had cranberry, pumpkin, and banana. 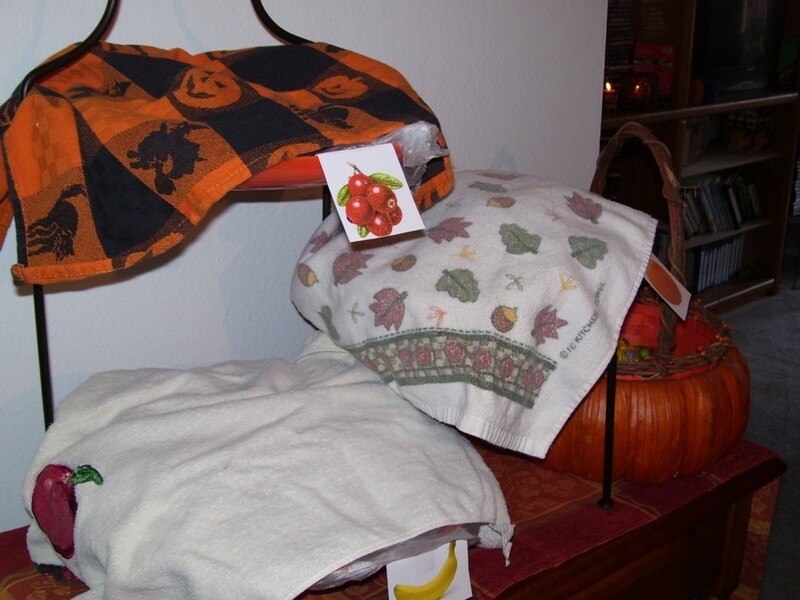 Over on the side is a pumpkin-shaped basket containing candy! 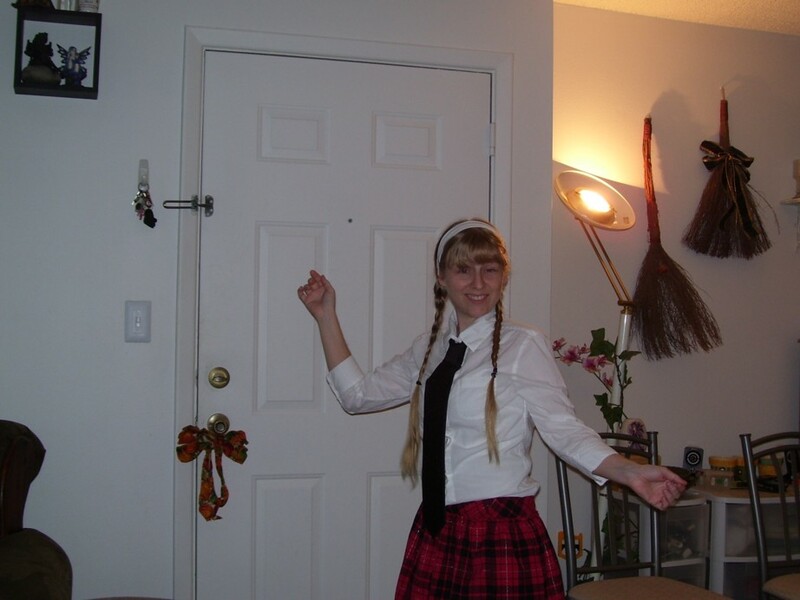 schoolgirloutfit.jpg: My Catholic schoolgirl costume. heathernun.jpg: Heather as a nun. She threatens you with her ruler. Unfortunately, I did not actually get a spanking from her OR the priest. 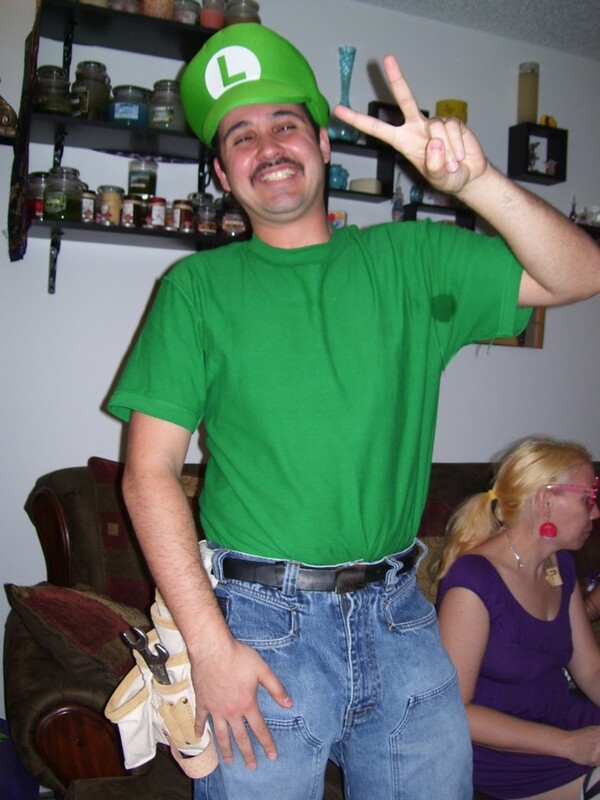 aminluigi.jpg: Amin as Luigi from the Mario games. He is a cheerful plumber, despite there being no short red-clad brother nearby. Know what's awesome? He grew a mustache for his costume! 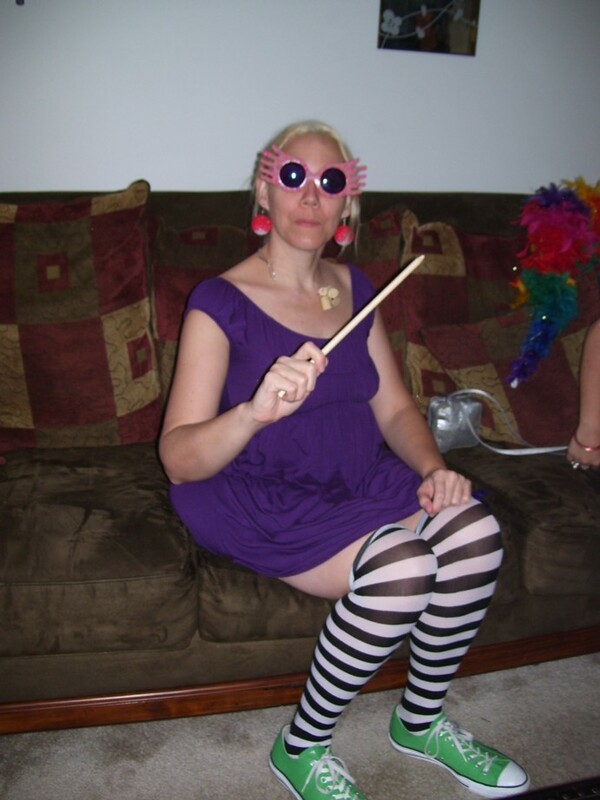 joyluna.jpg: Joy as Luna Lovegood from Harry Potter. Seriously, when people do things like dye their hair for a costume, I am really impressed, and I'd also say her interpretation of the character is incredibly accurate. 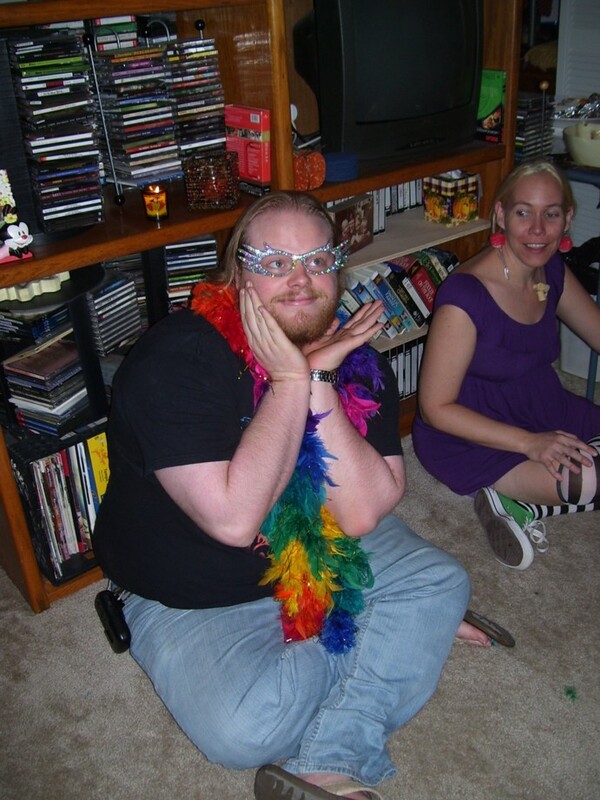 mandydragqueen.jpg: Mandy as a drag queen. She makes a very convincing girl pretending to be a guy pretending to be a girl. 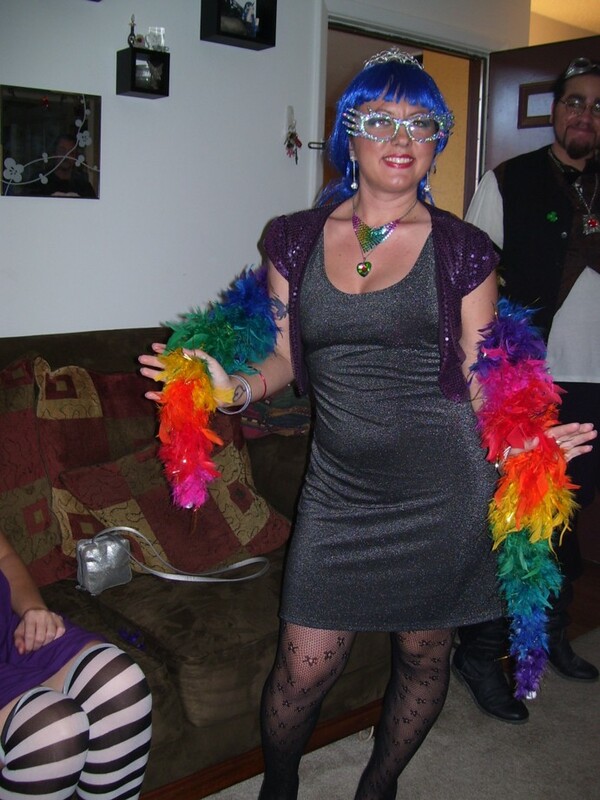 Her rainbow boa shed fabulousness (in the form of colored feathers) all night. derekandsarah.jpg: Derek and Sarah. He is dressed as an original character of his own design (so I'm sure it's very accurately portrayed! ), and she is a pretty damn awesome vampire with bitchin' fangs. 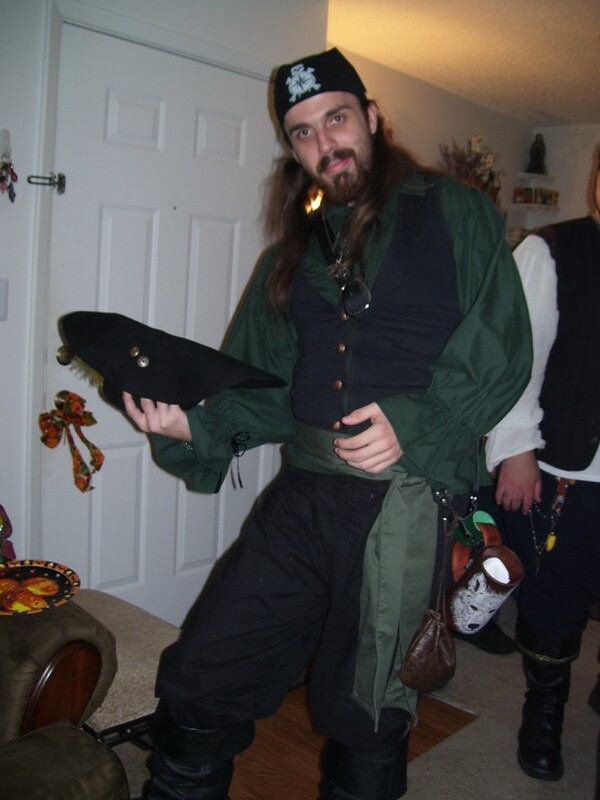 michaelpirate.jpg: This is Michael as a pirate. Don't let him fool you; this is not a Halloween costume. He is a pirate in real life. Which is why he does it so well. 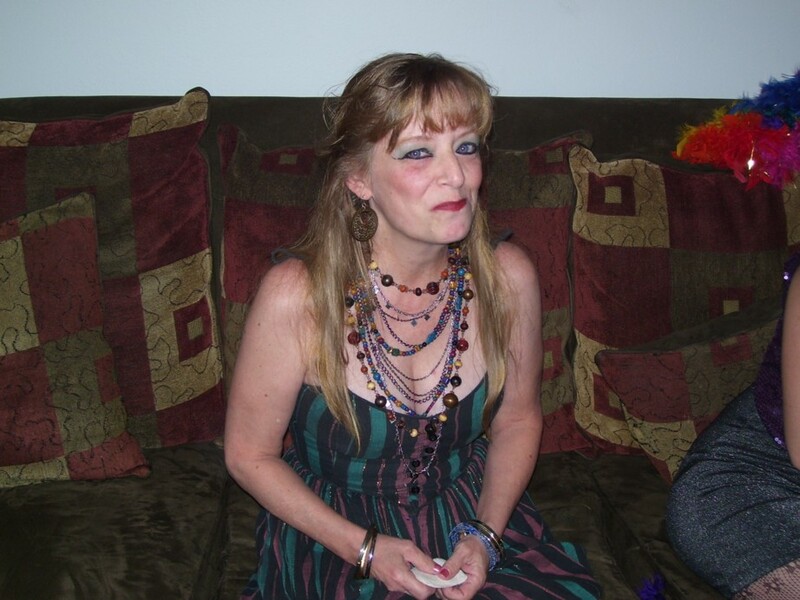 mommygypsy.jpg: My mom, Marcia, as a gypsy. If you ask me her outfit was perfect, especially with all those bangles, and I love the dramatic eyeliner! 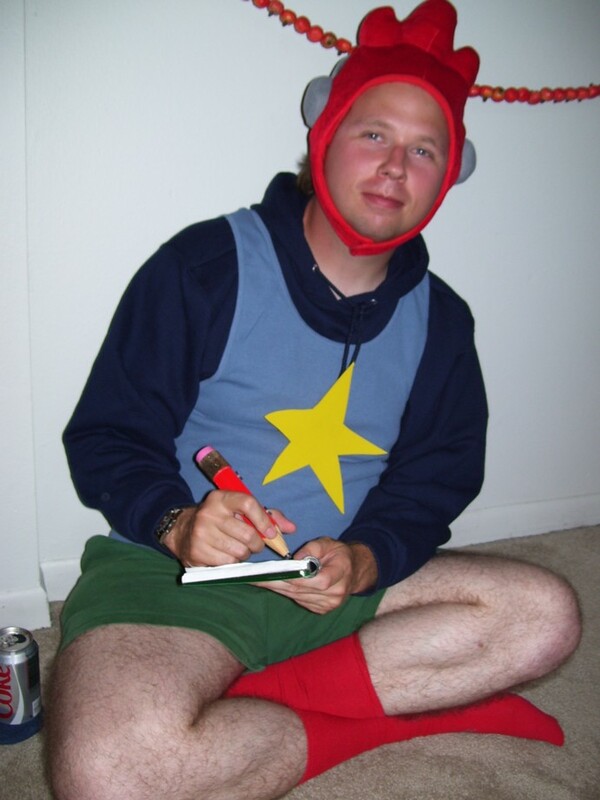 jeauxmaxwell.jpg: Jeaux as Maxwell from Scribblenauts! Oh my god, isn't this awesome? That's two people who came as video game characters!! 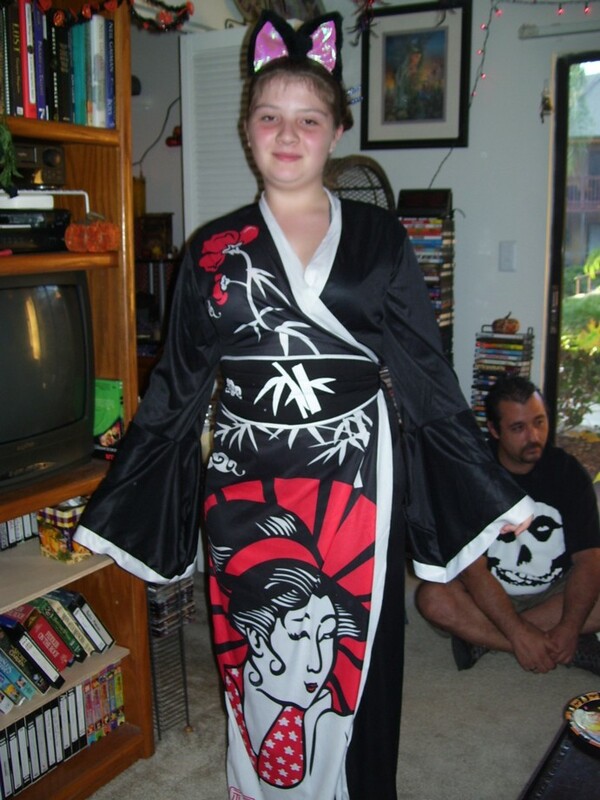 katelyngeisha.jpg: Katelyn as a lovely cat-eared geisha type girl--she should have her own anime show! Don't you love the sleeves? Her hair looked really cool too but you can't see it well here. 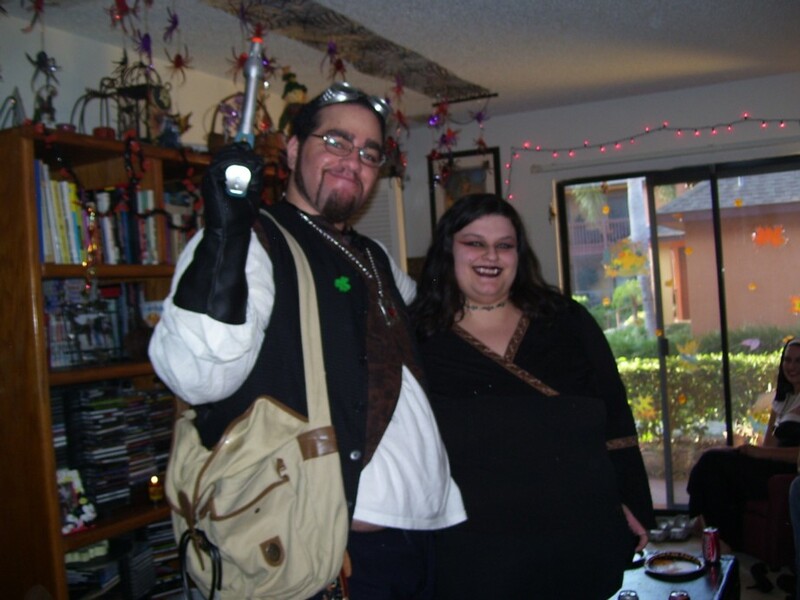 stevemeg.jpg: Meggie and Steve (he's got a lovely menacing weapon there, with a Punisher logo on it). Mikey is providing bunny ears for Meg. Maybe because she doesn't have a costume? dinnerfood1.jpg: FOOD. 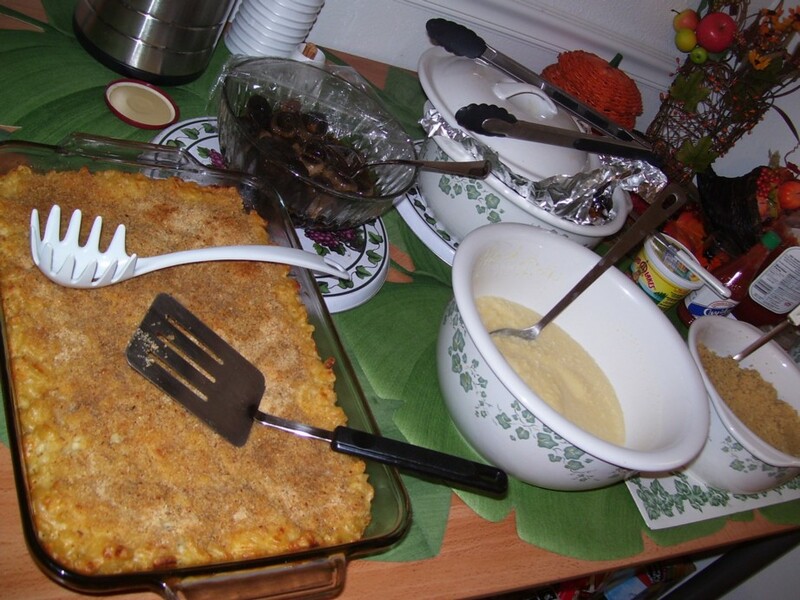 Here you can see homemade baked macaroni, cheesy mashed potatoes (I cheated; instant), couscous (also quick-cooking instant), corn, tater tots, and home-spiced hot cider. Oh, and there is a bowl of mushrooms my mom contributed. 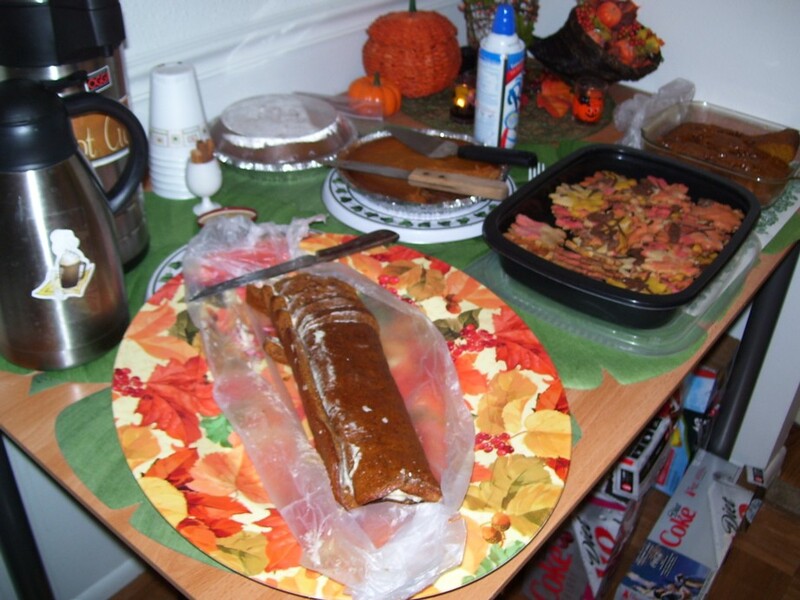 dinnerfood2.jpg: This year I actually got to photograph the food before everyone got some. 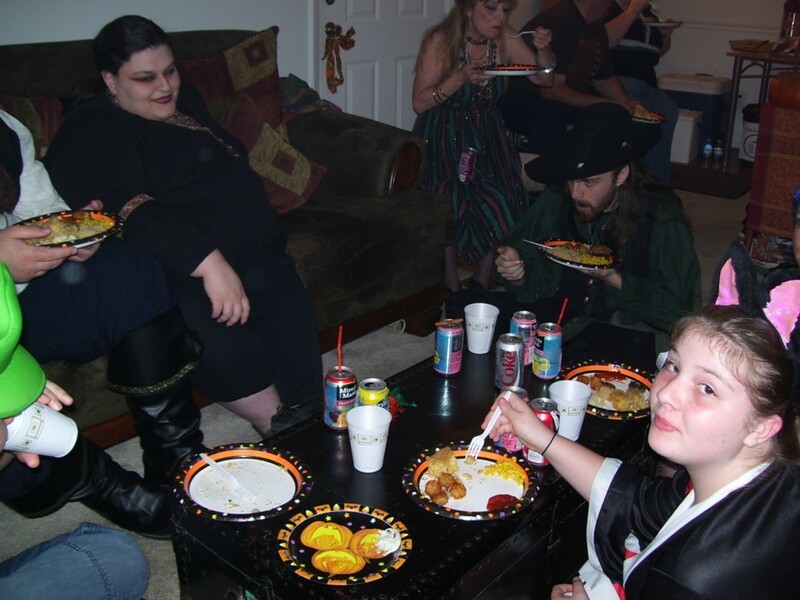 noshers1.jpg: I was trying to get candid shots of my guests enjoying my food. Some noticed the camera, though. 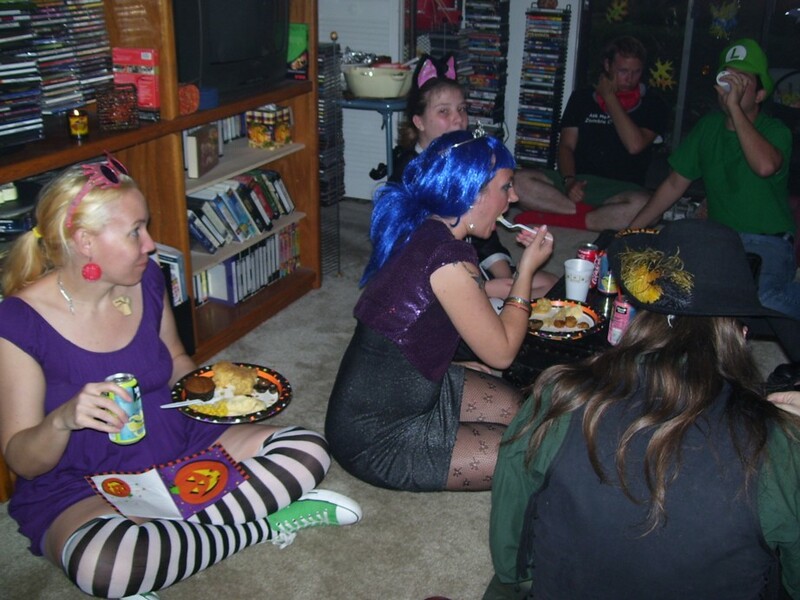 noshers2.jpg: Sorry, I just like documenting other people's love for my food! ericsprettyface.jpg: I don't think there are any photos of Eric not making faces. He would probably do this if you aimed a camera at him in his sleep! dessert.jpg: Dessert time! Here you see hot Chocolate de Mexicanos (Day of the Dead drink, in the pitcher), cream cheese pumpkin roll, autumn leaf cookies, pumpkin pie, caramel pumpkin blondies, and whipped cream back there. beautifuleric.jpg: Beautiful Eric, the costume accessory thief. 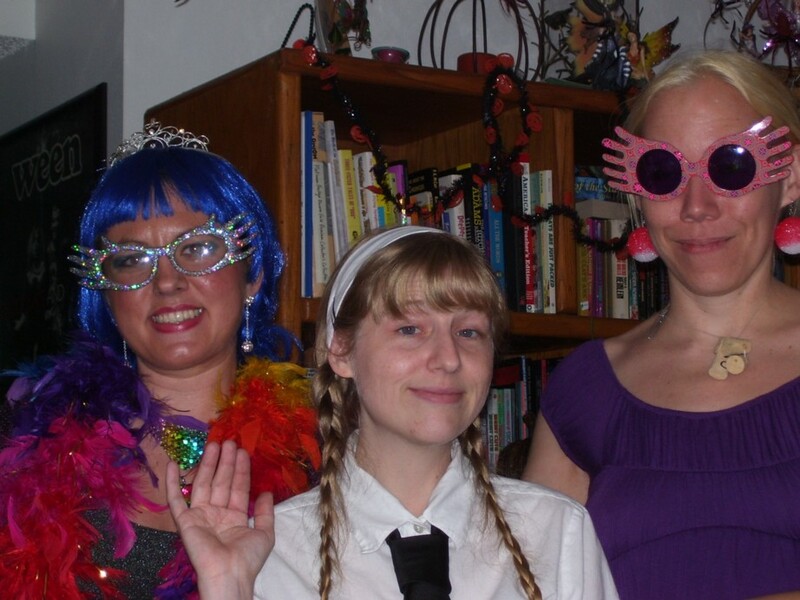 matchyglasses.jpg: Matchy glasses picture! No, they didn't plan this. . . .
ihavefriends.jpg: Me invading pictures to pretend I have friends.